An important challenge for healthcare providers is to improve quality of care, motivation of medical staff and patient satisfaction while, at the same time, lowering treatment costs. Even though business process redesign strategies are usually supported by external experts, they often only result in a temporary change and not in a long-lasting improvement of care pathways. Thus, I will introduce integrated health intelligence (iHI) that enables an interdisciplinary organizational learning process. This iHI system integrates real-time information about medical, support, and business processes and is comprehensible for the medical staff. I will show the development and some examples of daily updated key performance indicators (KPI) on clinical, operational, and financial information. I will give examples on how these KPIs can be used successfully in periodical feedback workshops with nurses and doctors. Furthermore, I will illustrate how these performance measures improve the problem identification, the solution finding and, most of all, become a motivating basis for interdisciplinary team learning of internal actors. Thus, a continuous and self-directed improvement of quality, efficacy, and efficiency of care is supported. Dr. Martin Holderried graduated from Medical School at Eberhard-Karls-University Tübingen in 2003 after having completed rotations at Harvard Medical School, Baylor College of Medicine and the University of Cape Town. He specialized in Otolaryngology as well as Head and Neck Surgery at Tübingen University Medical Center and received a masters degree in Healthcare Management from Ruprecht-Karls-University Heidelberg in 2008. For his numerous research projects in IT-supported team learning for the improvement of quality, efficiency and safety in healthcare, he reveived prestigous awards from the Financial Times Germany and the Rheinische Fachhochschule Köln. Since 2009, he is assistant director of the Department of Strategic and Business Development at Tübingen University Medical Center. 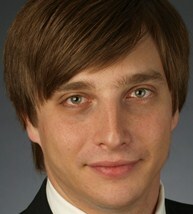 In addition, he is also a lecturer in the Department of Economics at Hohenheim University.